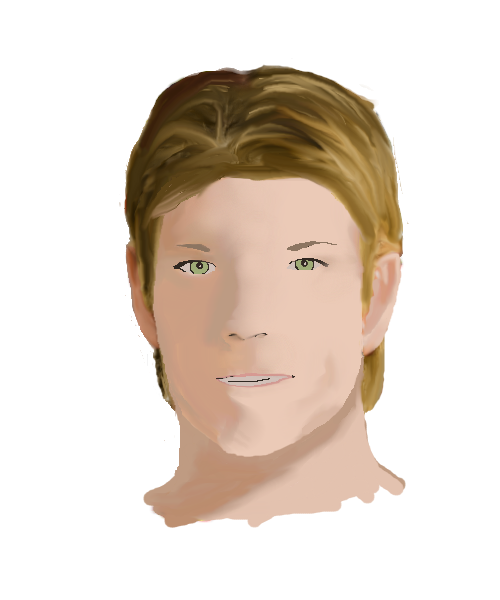 In Into the Tides, one of the main characters, Derik, is a six-class strength Power. In the Broken Powers world, strength magic is accompanied by an increased metabolism. Three years before Into the Tides began, magic poured over the American South, and everyone in the area was lost, including most of Derik's family. His uncle, living in Boston as a gym owner, survived. Together they worked to live with the grief of losing their family members. Derik, in the book, talks about some of the health problems strength Powers face, including what happens when a strength Power develops an eating disorder. While Into the Tides is a fantasy world, eating disorders are a real problem, and have the highest mortality rates of any mental health problem. In the past decade, the rate of eating disorder diagnoses has increased in both men and women. For more information about eating disorders in men, and where to find help if you or a man you know may be dealing with an eating disorder, check out the National Eating Disorders Association's page for men; to find more information for both men and women, check out the main page. Boston gym owner Michael Holskerski, personal trainer and a sixth class strength Power, joins The Daily News reporter Sandra Collins to talk about the underlying health problems strength Powers face. COLLINS: Sometimes we all wonder what it would be like to be just a little bit magical. But as great as it may sound to be able to life a couch by yourself, being a strength Power--the most prevalent magic type--may be a mixed blessing. Joining me today is Michael Holskerski, a sixth-class strength Power taking a day off from helping his nephew open a gym in the city. He'll talk about the downside of his magic. Michael, what's the first thing that stands out to you about strength magic? HOLSKERSKI: Hello, Sandra. Thanks for having me in today. I think the first thing that comes to mind for most people is, of course, what's usually hailed as the major limiting factor in the spread of the genes for strength magic. I come from a family with a range of classes; my parents were second class and fourth class. Three guesses which is which. COLLINS: Well obviously, your mother must be the fourth-class. HOLSKERSKI: Exactly. Strength magic is tightly linked to our extremely high metabolisms, and the stronger the magic, the higher the metabolism. Therefore, maintaining high enough levels of body fat to bear a child is difficult for women with higher levels of strength magic. Of course it's not impossible, with women with a long family history of high but healthy slenderness having the best chances; but the risks are higher and complications are frequent. These days it's generally advised for women with higher classes who want children to use surrogates. But historically that wasn't a choice, and since most high-class female strength Powers run around 12-16% body fat if they eat enough, childbearing usually wasn't an option. Strength-Powered bodies tend to keep just enough essential fat to survive, but not much more. COLLINS: Women aren't the only ones who face problems, though. HOLSKERSKI: Not by a long shot. Men are also less fertile, producing nearly a third fewer children on average than unPowered men. Plus, later in life they have a higher than normal chance of developing testicular cancer, which is why doctors recommend they begin regular exams at age thirty. COLLINS: You say gender-specific; does that mean there are troubles that affect both genders equally? HOLSKERSKI: Here's a factoid for you: being underweight is, pound for pound, at least as dangerous as being overweight. Forget the warrior stereotype of dying in battle. Heart disease and organ failure are, and have always been, the leading causes of death in strength Powers. Again, this goes back to metabolism: you can feed a person and half on what a sixth-class Power eats; but you can feed eight people off what a first class eats. So when food became tight or prices rose, often strength Powers felt the pinch the most; and in times of starvation, often only a very small percent of strength Powers were kept at full rations. Even beyond that, we're also highly susceptible to osteoporosis in older age, since fat plays a role in keeping bones strong. Our magic does help prevent early-onset osteoporosis, since it strengthens the bones to support muscle development; but that advantage is lost in the 60s. Immune problems are also a life-long issue, and plagues often hit strength Power populations hard. Our magic doesn't actually mean we need less fat than other people; it just means we have less. COLLINS: So let's talk eating disorders. While those have been a deadly factor for a long time, since the Tides hit two and half years ago, they've been on the rise--well, even more so. Are strength Powers less likely to be affected, given the information that's out there on how dangerous not eating is? HOLSKERSKI: (throat clears) If anything, it's worse than ever. (Pause.) You'll have to forgive me; most of my family was stationed at Fort Bragg, in North Carolina. COLLINS: I'm sorry for your loss. HOLSKERSKI: Yes, thank you. (throat clears again) Depression is always a factor in personal loss. It's no secret that most of the fifth-class and higher strength Powers are in the armed forces; and that some of the largest bases were located in the South. So of those who are left, most of us are dealing with the loss of our families. Eating disorders are one of the many ways people act out in grief or as symptom of depression. While for the unPowered it's a serious problem, for a strength Power the time table towards fatality is accelerated enormously. You know how, when the body doesn't have enough fat to burn, it burns muscle? HOLSKERSKI: For a strength Power, the body prioritizes voluntary muscle much more than it should. So it turns to organ cannibalization very quickly. A low-class strength Power can, without exercise and by maintaining a high-calorie diet, conceivably build up stores of fat. However, even a sixth class is likely to have low body fat, because they build muscle more quickly, which increases metabolism on its own. That's in addition to the magically fast metabolism. COLLINS: So in other words, the more a strength Power works out, the faster their already accelerated metabolism burns fat. And the less fat a person has, the quicker the body begins eating muscle, including vital organs. HOLSKERSKI: Yes. So you see, it's a very deadly disease. COLLINS: Is there a cure? HOLSKERSKI: Therapy and physical treatment together can put a person on the road to recovery. There's no magic wand for eating disorders that makes them go away overnight, though. No pill, either. Magic may fix some of the physical symptoms, but continuing treatment and support is vital. That's for anyone with an eating disorder, mind you, and not just someone with magic. COLLINS: Thank you for your frankness with this serious issue. And thank you for joining us today.